Gifting ideas for any fiancé, future fiancé, or perhaps just that special someone! Christmas shopping can be stressful no matter who you’re buying a gift for, so searching for the perfect present for your fiancé can be even harder. 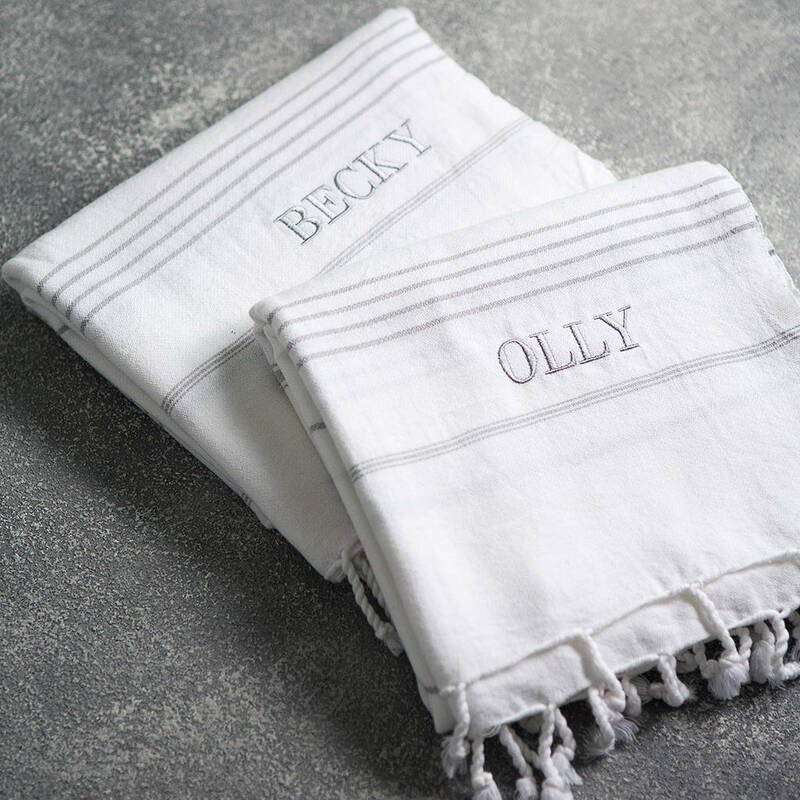 Here at Devine Bride we believe that the best gifts should hold a personal meaning… We love the idea of gifting personalised presents that you can both enjoy together, but they can be hard to find. With regards to where to shop, we love browsing through Not On The High Street for gift ideas as their independent sellers specialise in unique gifts, many of which can be personalised. A great way to support indie brands this festive season! 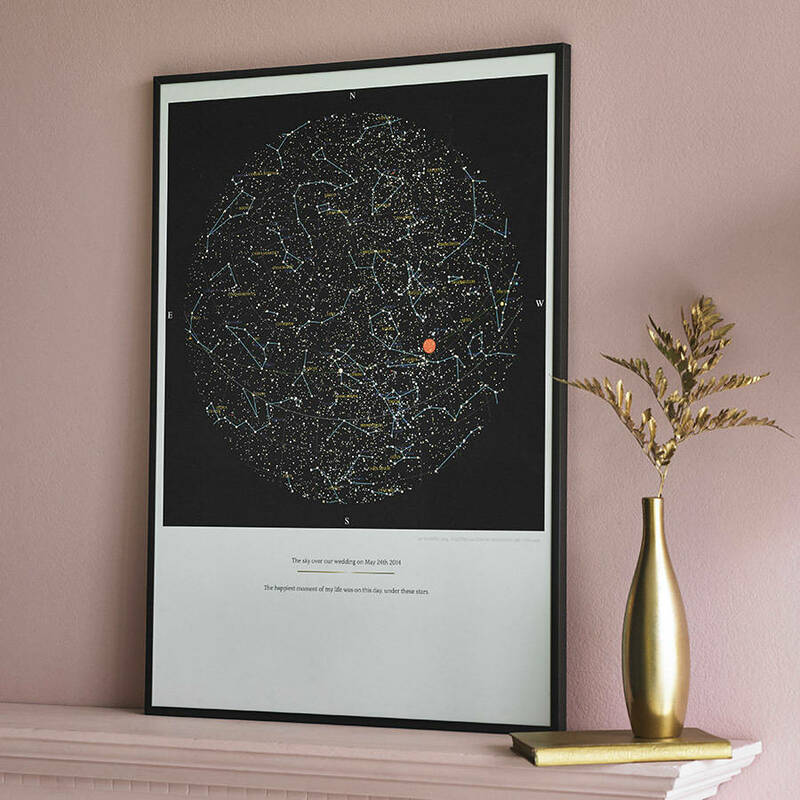 That said… NOTHS can be somewhat overwhelming as their personalised gifting pages are endless! So we’ve put together our favs for you in this handy gift guide, perfect for any fiancé, future fiancé, or perhaps just that special someone. We really hope you find these special and romantic gifts inspirational. We’ve tried to make sure that there is something for everyone and most of these can be shared and enjoyed together! Personalised Double Heart Charm Necklace by LISA ANGEL. 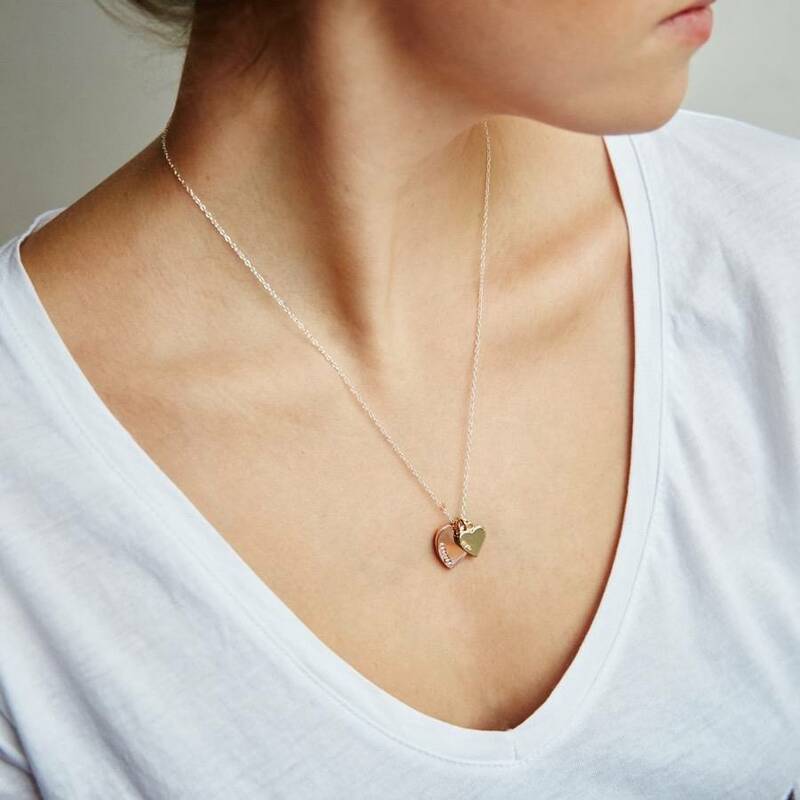 The perfect personalised gift for jewellery lovers, super feminine and so delicate. Personalised Lambswool Blanket Scarf by STABO. 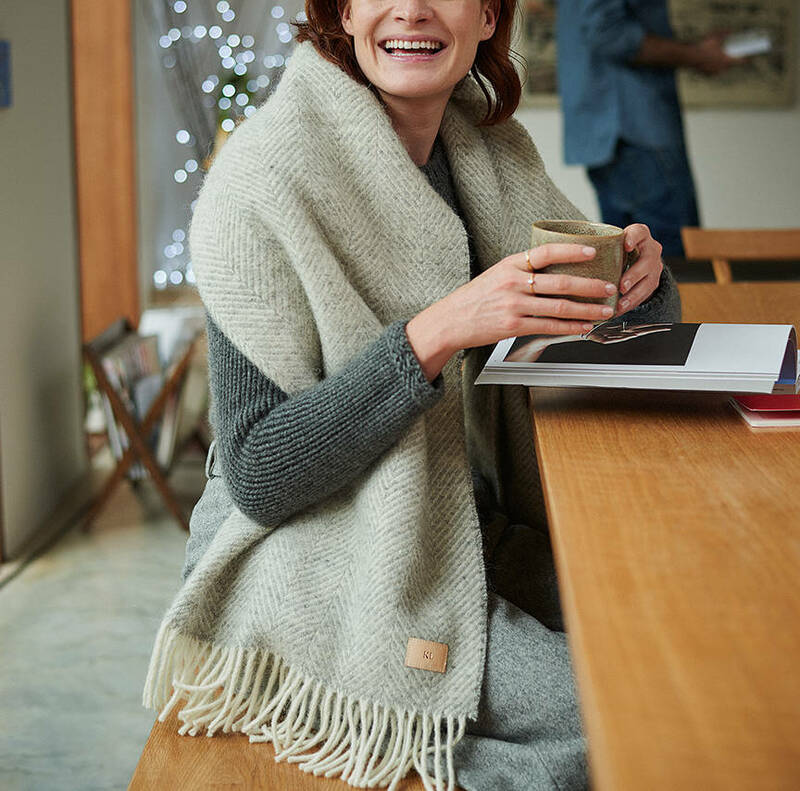 Keep cosy and cuddle up this Christmas in this big softie! 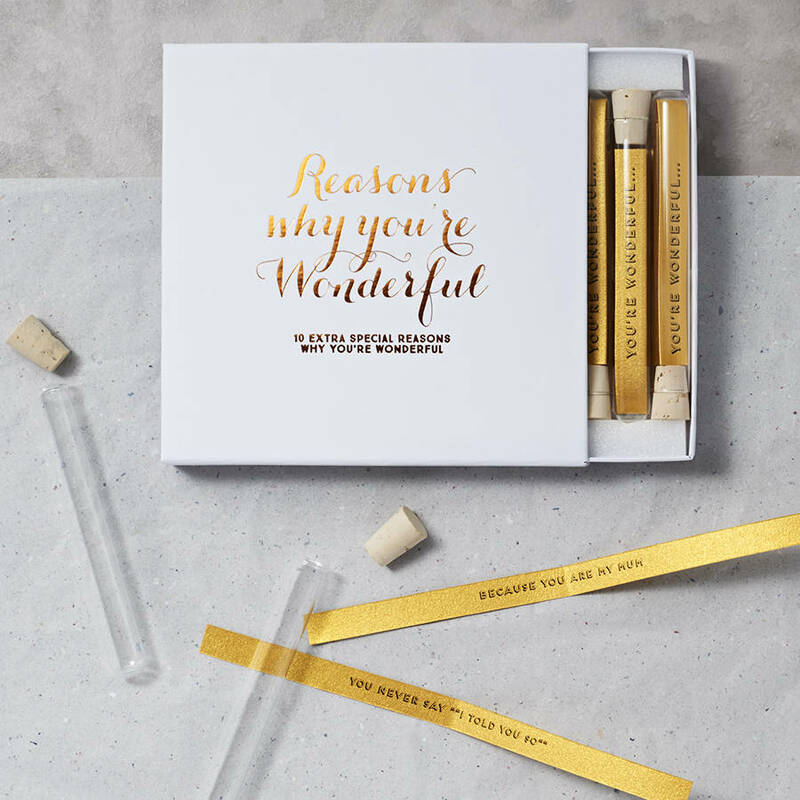 ‘Personalised Reasons Why You’re Wonderful’ by BREAD & JAM. This is perfect to remind your other half why you are marrying them – but this could also be quite cutely humorous, too! 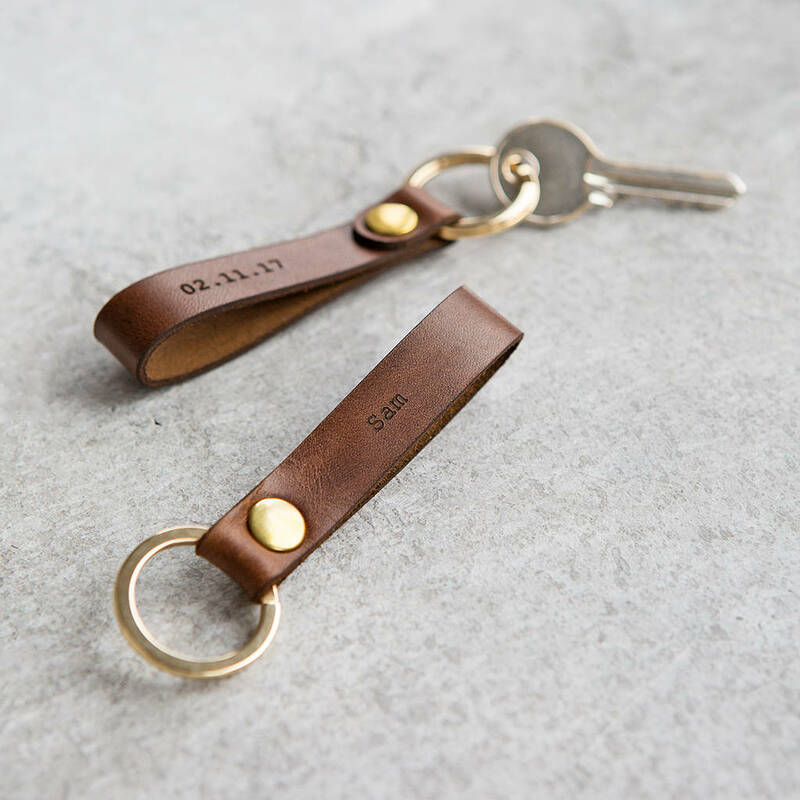 Personalised Leather Loop Keyring by CREATE GIFT LOVE. This keyring can be engraved with a message, initials, name, date or even your favourite quote. 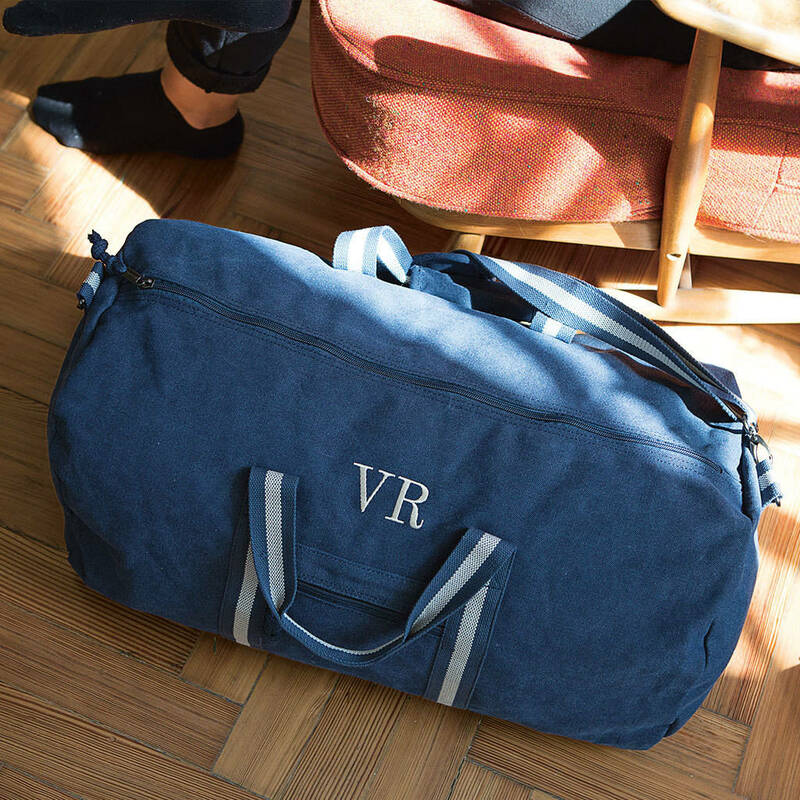 Personalised Vintage Canvas Holdall by DUNCAN STEWART. A stylish personalised vintage canvas bag; ideal for your wedding overnight bag, perhaps a gift from you to you with your new initials. Personalised Marriage Survival Wedding Gift by LITTLE LETTER. 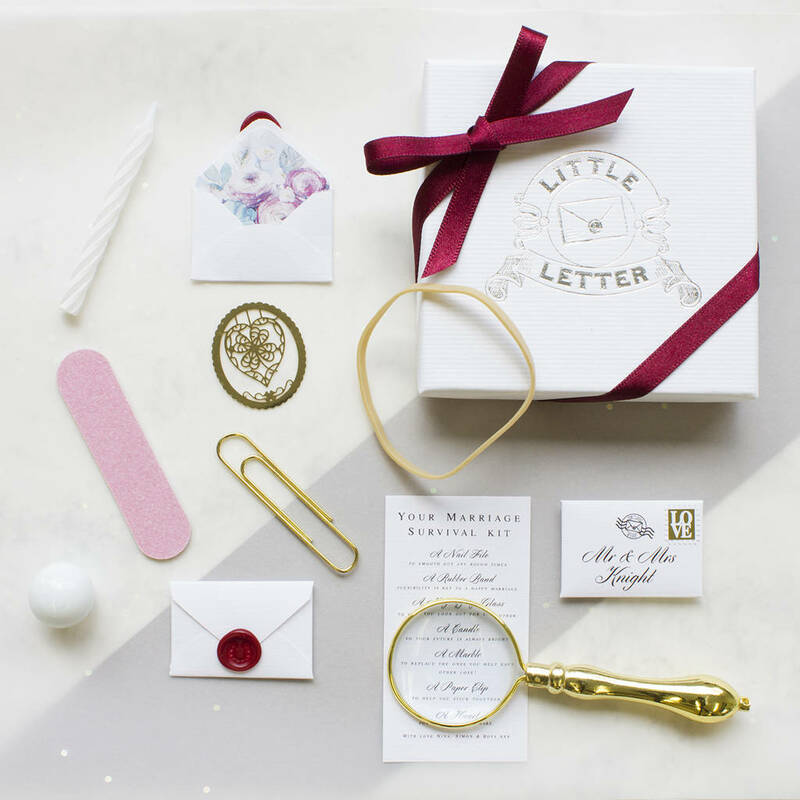 This box includes a collection of cute little items, all of which have a special wedding sentiment or tradition attached to them. 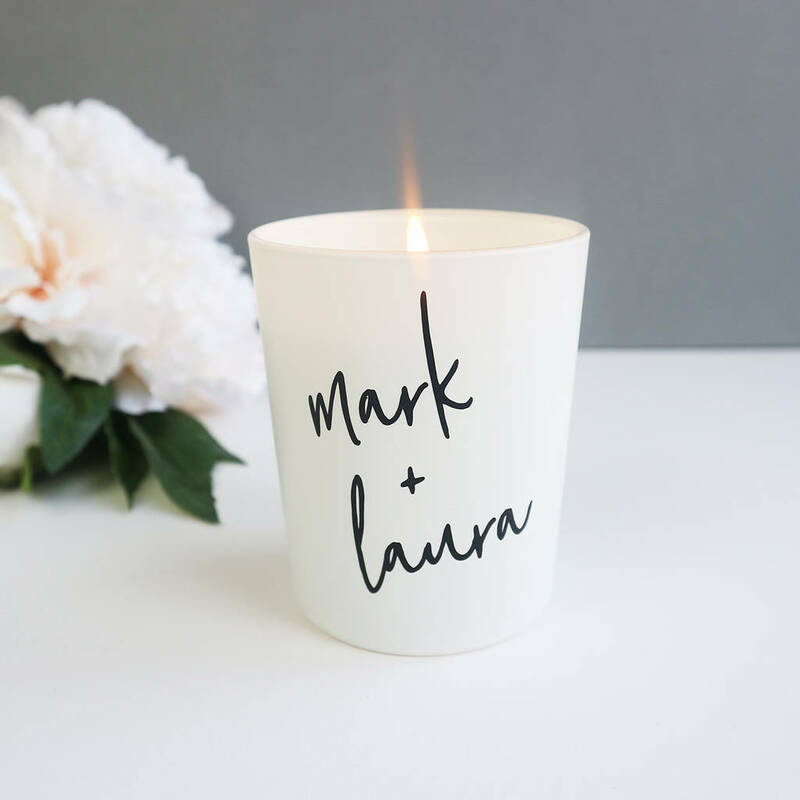 Personalised Couples Scented Candle by PAPER AND WOOL. A modern way to add personality to your home, and candles make such a lovely lasting gift. 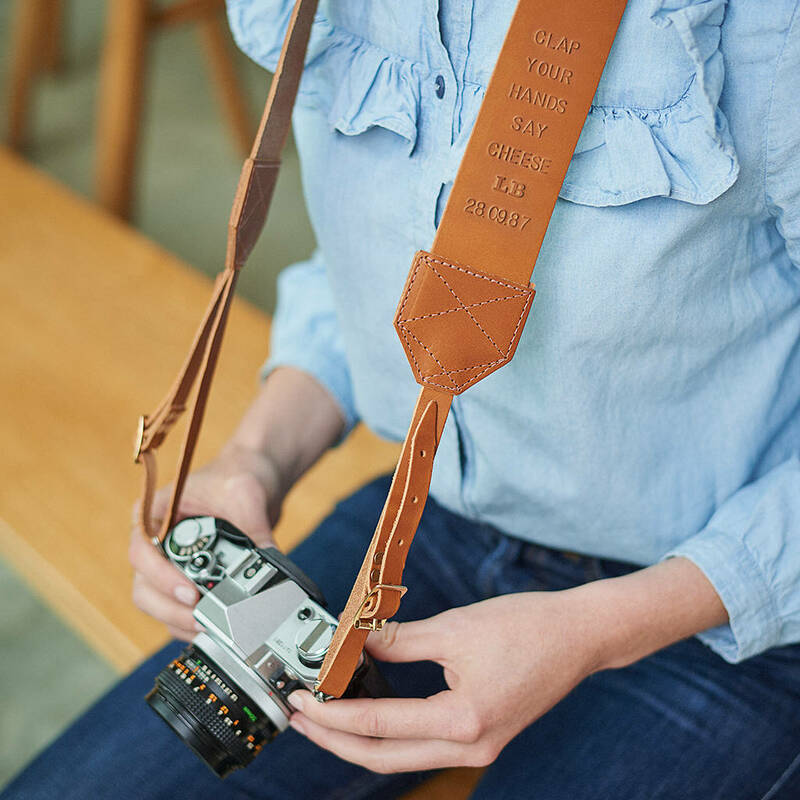 Personalised Retro Leather Camera Strap by MAGPIE ACCESSORIES. A wonderful gift to use on your honeymoon! Have your strap personalised for an extra brownie points. Set Of Two Personalised Hammam Towel Set by KOKO BLOSSOM. The perfect gift to go with a couples spa day or pamper before the wedding. Personalised Love Heart Coasters Pair by MEENYMINEYMO. 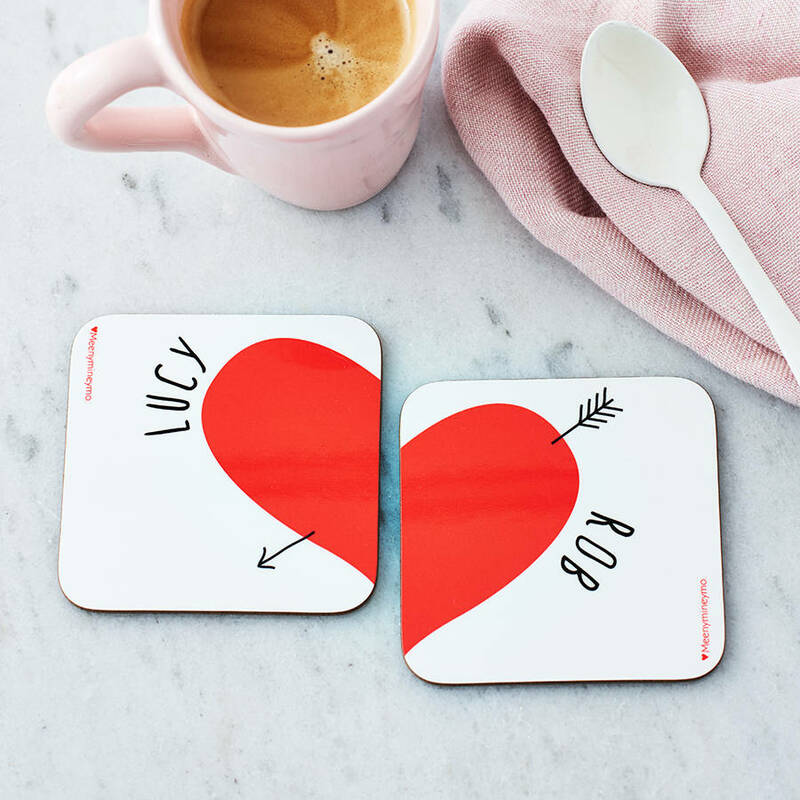 These adorable coasters make a perfect gift for couples who are the perfect match! 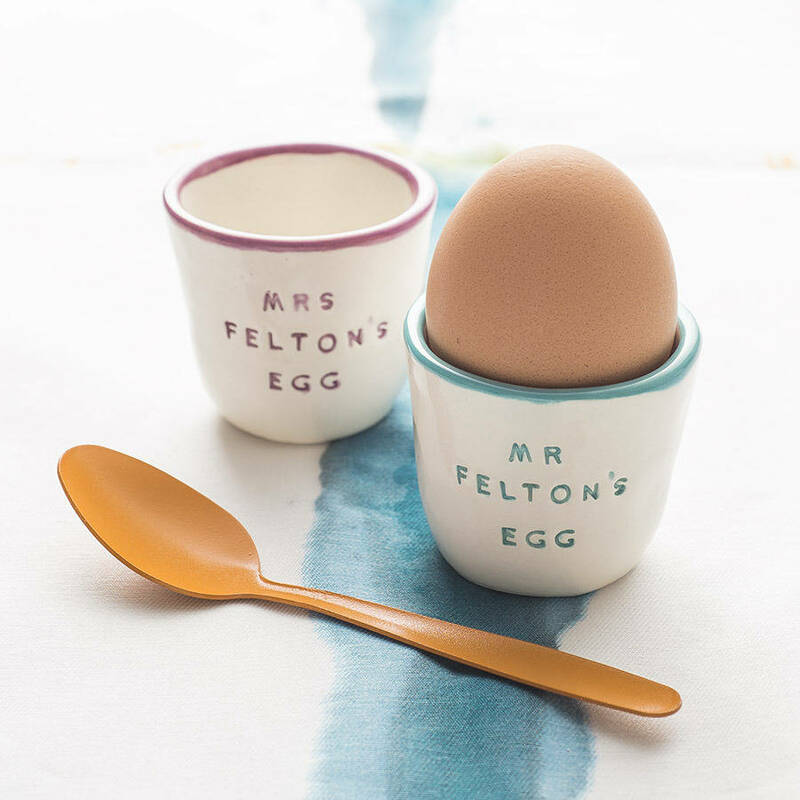 Personalised Pair Of Ceramic Egg Cups by GILBERT AND STONE CERAMICS. Handmade in Cornwall, these white ceramic egg cups have a hand-stamped name in a matching glaze. 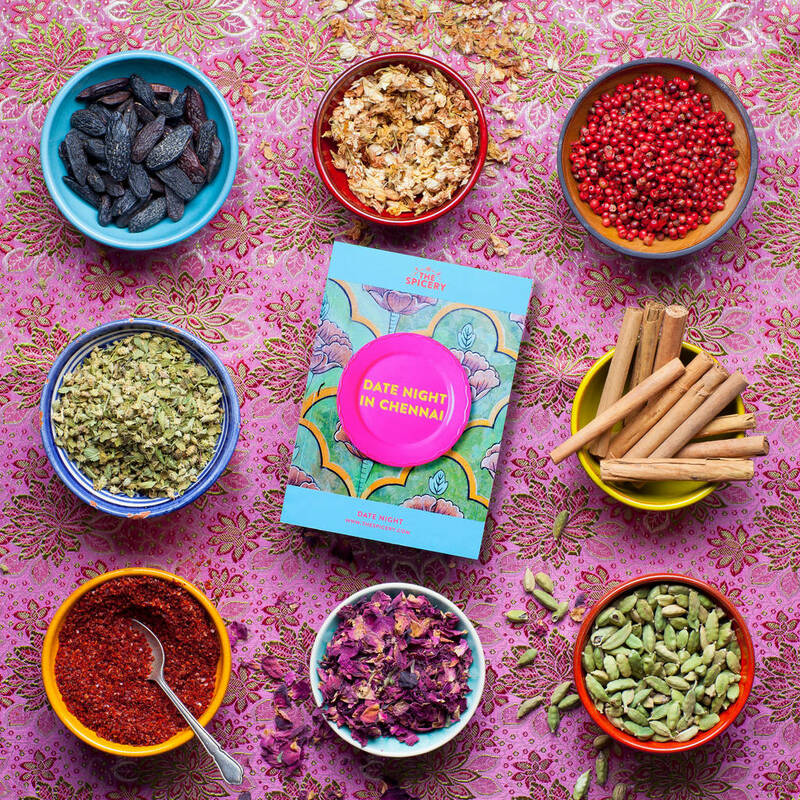 Six Month Date Night Spice Subscription by THE SPICERY. Each month you’ll receive a box of spices and recipes to create a romantic three course meal for two. My husband loves spicy food so this would go down a treat in my house! Pomegranate ‘The Tree Of Love’ Gift by THE GLUTTONOUS GARDENER. 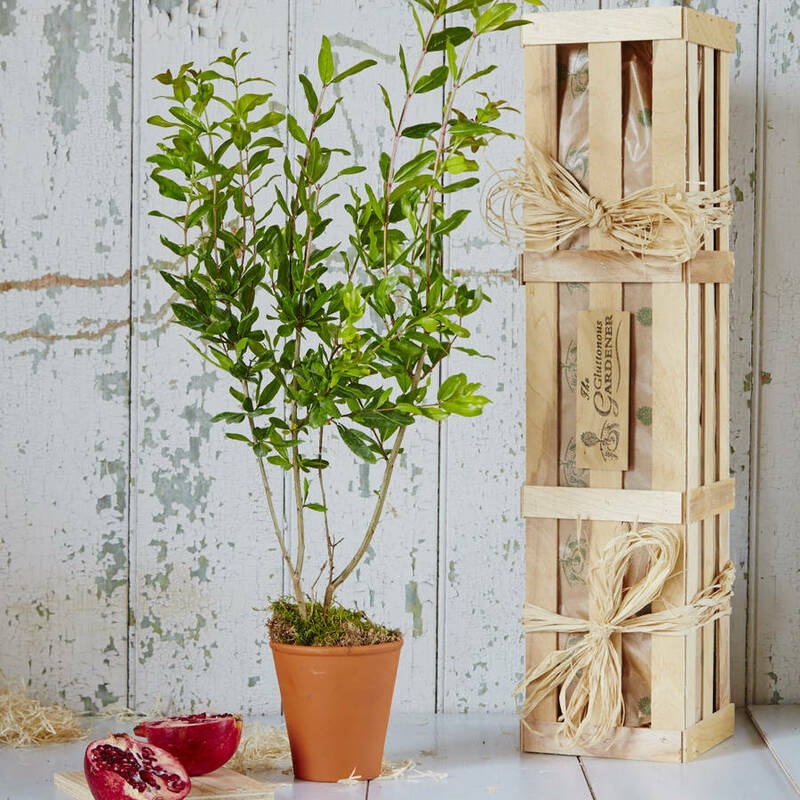 A romantic gift for gardeners or green fingered fiancés. Legend states that the first pomegranate tree was planted by Aphrodite, the goddess of love. We hope you got some inspo from these romantic and personal gift ideas for your fiancé this Christmas. Happy shopping and happy holidays from all of us here at Devine Bride!